Unlike day trading the futures markets, stock trading offers a wider variety of investment opportunities including access to shares in companies like Coca-Cola, Wal-Mart, and others. Many publicly held companies use a stock exchange such as the NYSE (New York Stock Exchange) in the United States and the LSE (London Stock Exchange) in Great Britain. Stock trading can be an excellent choice for more seasoned day traders. However, stock trading may be more challenging for those just starting to day trade. Over the years, the United States Security Exchange Commission has placed onerous restrictions on stock trading. Because of the SEC margin rules for US stock trading, day traders must have at least $25,000 in cash or securities available to do stock trading. This restriction means anyone who is just starting out as a day trader will need to deposit over $25,000 into their day trading account. It is important to note that the SEC rules around trading assets for stock trading do not apply to the futures markets. As such, trading futures gives beginner day traders access to popular futures markets tied to the US and foreign currencies such as the Swiss franc, British pound and the euro. Additionally, by trading futures contracts, day traders with smaller accounts can get access to traditional stock indexes such as the NASDAQ and DAX. 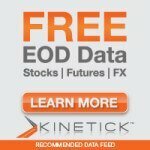 In addition to the traditional indexes, Futures traders have access to a broad variety of other commodities to trade such as wheat, gold, and oil. Futures day trading, by definition, means no futures contract position is held overnight. An “open contract” is maintained only while the market is open and active. 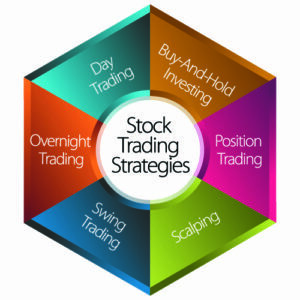 Traders who prefer to hold their positions overnight or for an extended period are typically called position traders. Whether you are stock trading or day trading futures contracts, most traders elect to use efficient day trading systems to generate better profits. Many futures traders tend to use their trading software to focus on one or two markets whether that is because of a particular trading system, a preferred geographic location, or their personal trading style. If a trader has an efficient day trading system with reliable technical analysis indicators, they do not have to be full-time day traders. There are many options to trade part-time whether it is in the morning, evening, or midday. Because of the ease of online trading, day trading, the futures market can not only be cheaper but it can also be simpler than stock trading. ‹Older post To Trade or not to Trade (with the Trend) ….THAT is the Question! 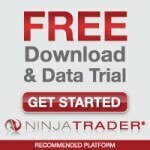 ›Newer post What is Your Trading Style?